The 38th Annual Mt. Washington Auto Road Bicycle Hillclimb was held on Saturday, August 21st, 2010. 600 riders raced up the grueling 7.6 mile Auto Road to the 6,288', Mt. Washington, the highest peak in the northeastern USA. With the blast of a cannon, The 38th Annual Mt. Washington Auto Road Bicycle Hillclimb, featuring 600 racers, got under way, early Sunday morning, August 21st, 2010, in Gorham, New Hampshire. 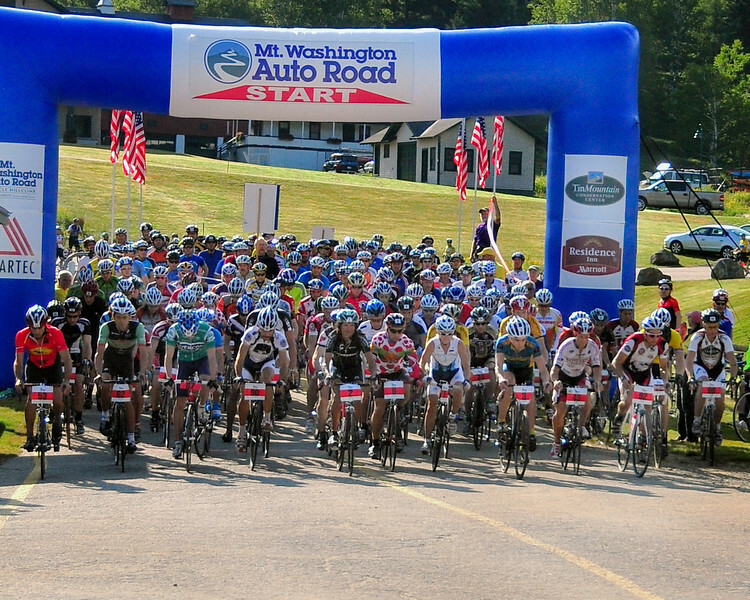 600 cyclists raced up the grueling 7.6 mile Auto Road course, to the 6,288' summit of Mt. Washington, the highest peak in the Northeastern United States. Nico Toutenhoofd, of Boulder, Colorado, was overall winner, and Manchester, NH, native, Marti Shea, now of Marblehead, MA, won the women's division.